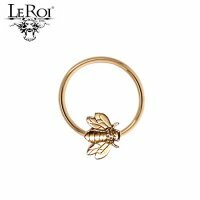 This 14kt Gold 16 gauge captive bead ring features a captive Gold Bee instead of a plain bead. 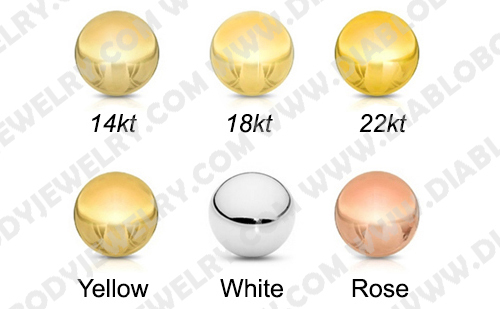 The Bee is 5.5mm X 7mm and is mounted horizontally at 6 O'clock on the ring. The Bee ornament can face in to the ring, out of the ring or face left or right. Inner Diameters: 5/16", 3/8", 7/16", 1/2"